IT Pro Miami is a high quality IT service provider that take care of clients on a consistent basis. 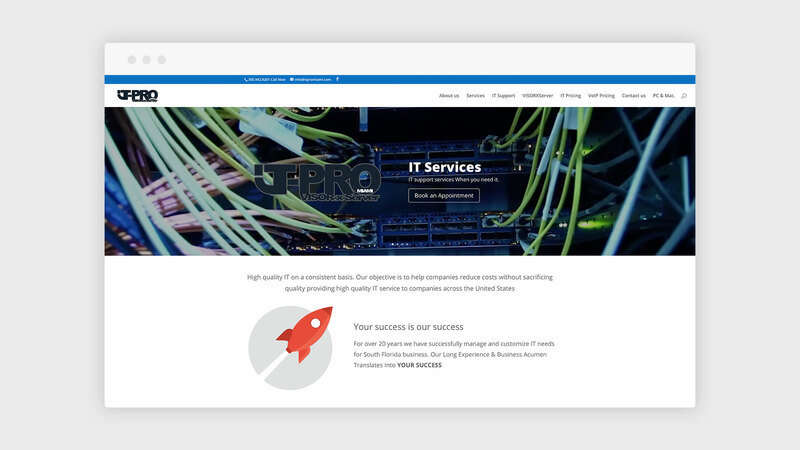 Their objective is to help companies reduce costs without sacrificing quality providing high quality IT service to companies across the United States. They wanted a website that translate their vision and elegance of their business. The modern and sleek web design gives IT Pro Miami the ability to demonstrate their belief through their website. The homepage features slider banners. The first slide has a video as background and the rest are graphics sliding in to create a nice entrance effect. 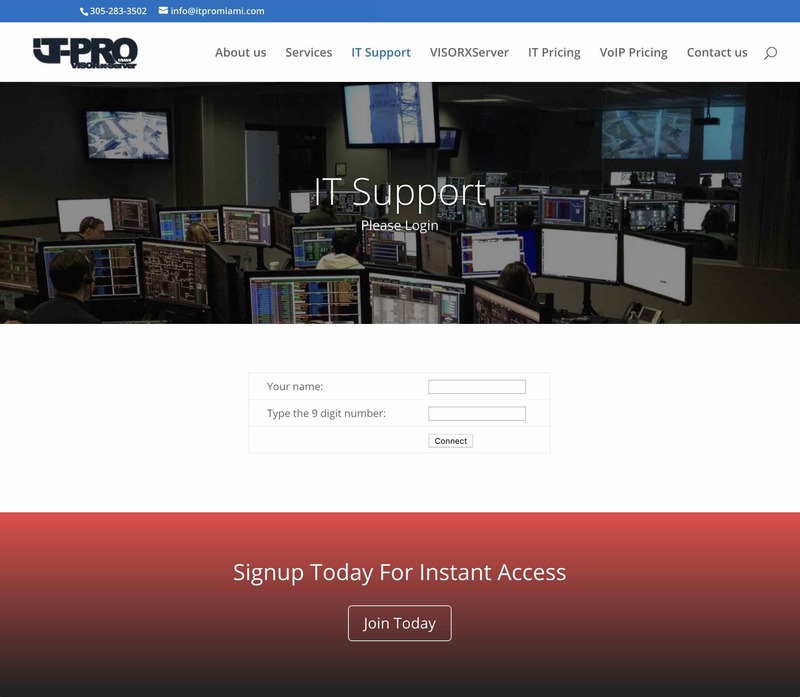 IT support page incorporated so customers can login and request help from professionals.